This is a wonderful Champagne, from R&L Legras in Chouilly. It's a pure Chardonnay, and possibly the best fizz under £30 from anywhere. 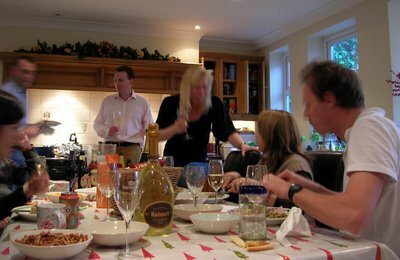 Just come back from a very enjoyable family lunch where b-in-law Beavington served a Drappier Grand Sendree 2000 in response to my trio of Portuguese wines. It's a fabulous Champagne: intense and alive. Of all the prestige cuvees, this is one of the best values in the whole region. Earlier this evening I did a slot on BBC news on the Champagne story. I was asked to bring some Champagne and glasses in as props. I'd tweeted that I was making the appearance, and a very proactive PR working for Champagne Lanson responded by sending me a couple of bottles to take in. 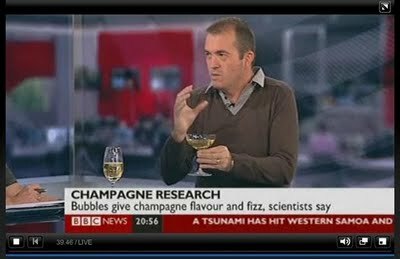 Unfortunately, strict BBC editorial guidelines meant that they weren't allowed to show the bottle, and after some deliberation it was decided that the presenters weren't allowed to try the fizz on air. Apparently, with all the issues surrounding expenses and the use of public money, the prospect of having presenters drink Champagne on camera was a step too far. The slot itself was pushed back by some horrible west London traffic and a breaking story, but just before 9 pm we were live. It went really well: it was one of those on camera slots where it's all relaxed and has some energy of its own. I've done a few of these now, and I don't even have a glimmer of nerves, which make the whole experience rather enjoyable. I was sorely tempted to drink the Champagne, though: it just smelt so good. Lanson is good stuff. It's very acidic and fresh, because there's no malolactic fermentation. But the aromatics are lovely, and it's fun to find out that the aromatic qualities of Champagne are in part because of these tiny flavour-bearing aerosols that break off from the surface as the bubbles pop. 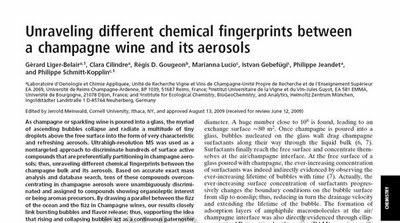 A scientific paper in journal PNAS (Proceedings of the National Academy of Sciences USA), published tomorrow morning (embargoed until 8pm today), looks at the nature of the bubbles in Champagne and sparkling wines. As they rise to the surface, they aerosolize, carrying very fine droplets bearing flavour molecules, which we can then smell. 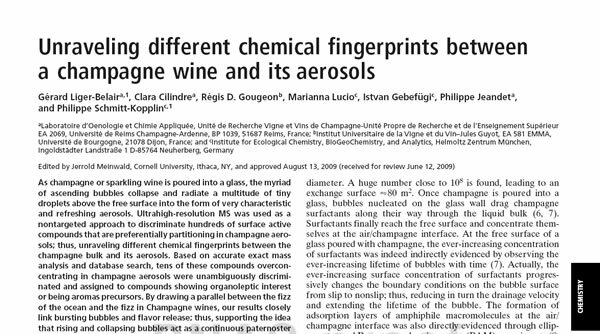 The authors of this paper identified the compounds present in these fine aerosols, showing that they are important in the perception of fizz. There's a nice BBC news story on this here, which I contributed to. Effectively, Champagne is a brand, and one of the rules of brand management is that you shouldn't kill your brand by discounting it. 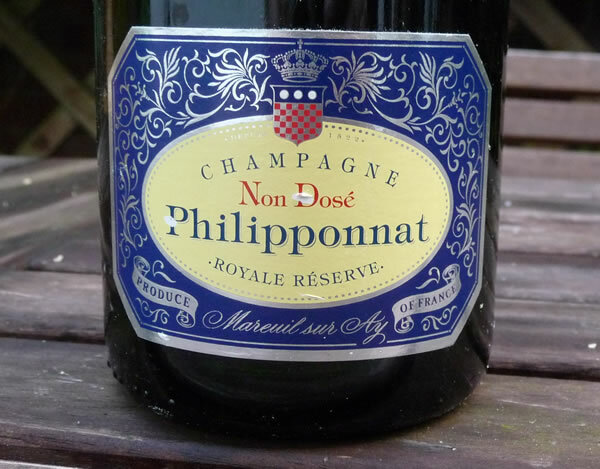 Yet the sorts of market manipulations attempted by the Champenois make me feel uncomfortable. 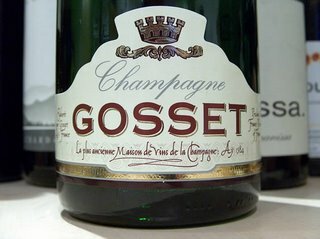 The horror scenario for Champagne is that consumers should lose the perception they have that Champagne is special and worth a huge premium over other sparkling wine styles. What if consumers decide that it's fizz they want, not Champagne, and they can get fizz that ticks all their boxes from other regions? With Champagne producers committed to protecting their price points through regulating supply, this creates an opportunity for sparkling wines from other regions. 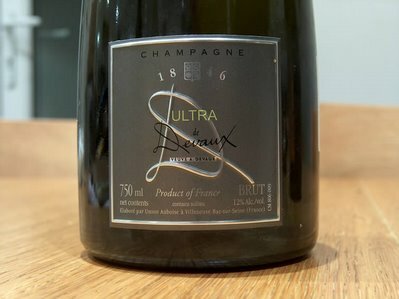 Would it be so disastrous if Champagne were to win new consumers with £10 supermarket own-label Champagnes, £15 Grand Marques, and more prestige cuvees kicking in at £30? Lower margins but increased volumes might win customers who otherwise would shift to discover other sparkling wine styles. Had a fantastic dinner last night at Francis and Bronwen Percival’s beautifully situated flat above NYD in Borough Market. They’d gathered a jolly crowd, with Jamie Hutchinson and Dawn Mannis of The Sampler, Champagne expert Peter Liem, and Neil Beckett and his wife Luciana. For the main course Francis headed outside to grill some wonderful slabs of beef, and as you’d expect we drank well. Last night was good fun. I met with the fellow organizers of the sparkling wine symposium for a planning meeting followed by dinner. We went to Fino in Charlotte Street (http://www.finorestaurant.com/), which is a swanky tapas joint that allows corkage for £15. So we brought along some wine, and drank well, with a high strike rate. Food was first-rate, and service was just right. Fiona and I have a few days without children. This is almost an impossible luxury, and we were planning to go away for a few days somewhere exotic. But RTL is in season, and there's nowhere we can leave her, so we're staying put. The only solution is to drink wine, good wine, and in quantity. We made a good stab at it this lunchtime, beginning with a zero dosage Champagne in the glorious sunshine. 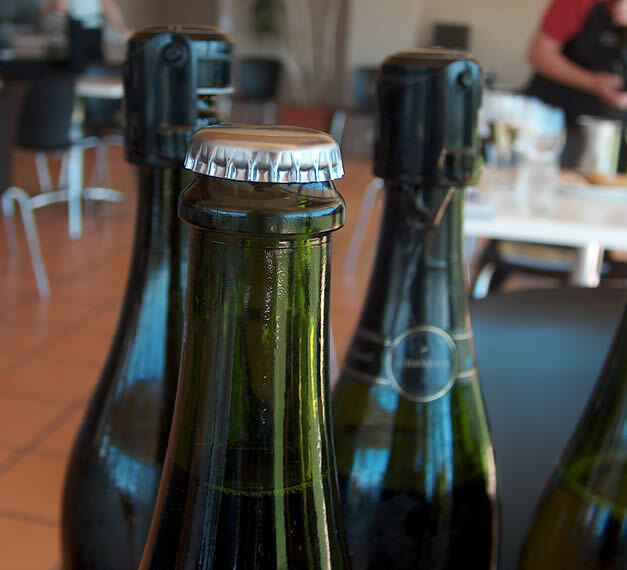 The subject of wine bottle closures has hit the UK media today - many leading newspapers carried a story on Duval-Leroy's plans to use a new, unspecified metal-based closure for some of its Champagnes. An example of the coverage is here. The exact closure is a mystery - one that will be revealed at the London trade fair next month. I'm a bit confused, though. For Champagne, the closure has to be mushroom shaped, and currently the only closures found on Champagne are natural cork and Mytik (the Diam version of the Champagne cork). As far as I know, you simply aren't allowed to use crown cap - or, if such a closure could be devised, a type of screwcap - on Champagne. It will be interesting to see what Duval-Leroy have in mind - and they have done brilliantly attracting all this media attention without even specifying what they're planning to use. Just got back from a couple of very pleasant days in Champagne, visiting Bollinger (above). With wonderful blue skies, it was fantastic to go for a walk in the vineyards of Ay (Grand Cru Pinot Noir) near the Bollinger HQ. We tasted the 2008 vins clairs, the Bollinger range, visited Ayala and ate very well. For starters, here are some pictures. More to come soon. Bollinger vineyards in Grand Cru Ay. This is Pinot Noir. What can you tell me about the rather unusual looking vineyard above? All Bollinger's reserve wines are stored in Magnum; they have around 600 000 of these magnums in their cellars. When it comes to using them in the blend, someone has to uncork them and pour them in manually. It has been an enjoyable weekend. Yesterday I played 11-a-side football; the guys I play with on Wednesday evening (parent's from younger son's school) formed a side and we challenged another team who play quite regularly. Playing on a full-sized pitch with 11 each side is quite different to our smaller games on astroturf, but despite getting beaten, we did OK. I played three different positions: centre back, centre mids and right back. I'm now a little stiff. The game was followed with a pint of Fuller's Discovery at the Angler in Teddington. A really nice beer. In the evening we partied with some friends who were celebrating their 40ths. It was one of those events where you get chatting to people and then suddenly it's time to go because you agreed with the babysitter to be back by midnight. Today we were off to my younger sister's for lunch. The occasion: dad's 70th. It's weird to think of your parents growing older. I still can't get my head round the fact that I'm over 40. 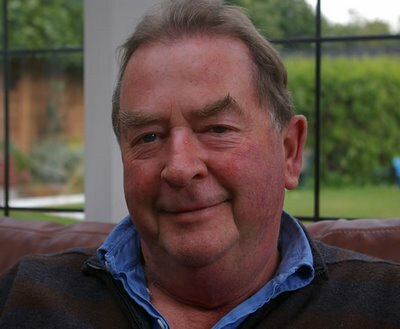 But he's looking pretty good for 70 (pictured above), so I'm hoping there's a component to healthy ageing that's genetic! It was an informal, low key event (his instructions), but we still had some wine. 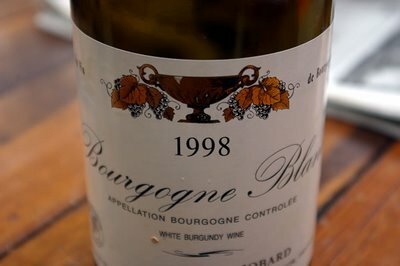 Jobard's Bourgogne Blanc 1998 is holding up pretty well: fresh and minerally with good weight. Dog Point Sauvignon Blanc 2006 is also delicious: subtly green herbal with a hint of talcum powder, and a real sense of elegance. Tonight I'm getting ready to head for Champagne in the morning. I'm spending a couple of days at Bollinger, visiting vineyards and tasting vins clairs. Looking forward to it. Two very impressive wines today, a relaxed family Boxing Day. First, a remarkable South African Sauvignon Blanc. Second, a lovely Champagne. A Burgundy-dominated wine lunch - fantastic! Great wine lunch today. 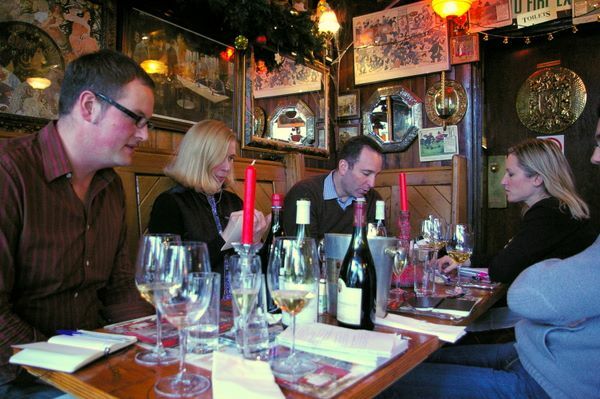 Ken Reich, Neal Martin, Amanda Laden, Sharon Bowman, Dan Coward and me gathered Harry Gill's Arches wine bar for a lengthy lunch. It was one of those lunches that just kept on going, and when Neal, Dan and I left at 5.15 we felt we were sloping off early. Harry kindly donated a wine (the George Jayer NSG) which he served to us blind. I really should do more lunches like this. Something not right here. Toasty, buttery, popcorn and cabbage edge to the nose, together with some oxidation. The palate is dense and savoury with good acidity but no depth. Two tastings today. Normally, Friday is a quiet day, with tastings clustered Tuesday, Wednesday and Thursday. 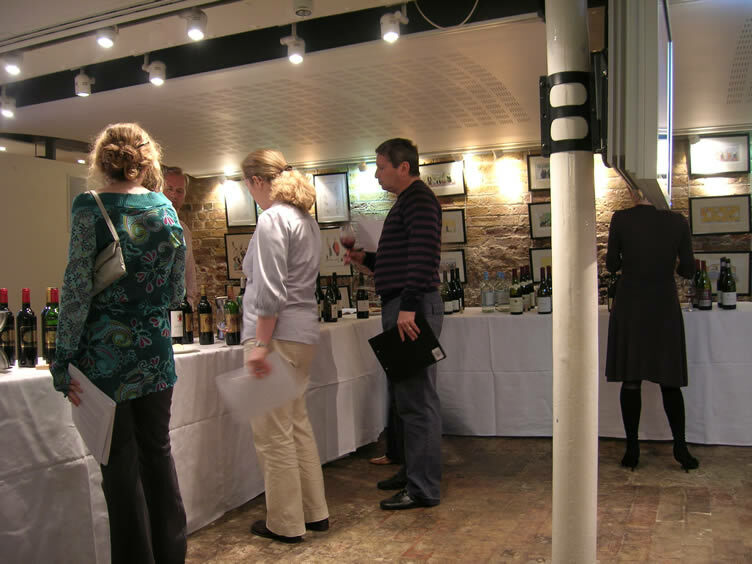 But it's a busy time of year, hence a couple of essential tastings beinbg held today. First up, Berry Bros & Rudd. The big draw here, in addition to a choice selection from Berry's fantastic range, was a rare chance to taste not only Krug's newly released Vintage 1998 (at £230 a pop), but also the Krug Clos de Mesnil 1998 (if you have to ask....oh, alright then - £720 - yes, that's per bottle). 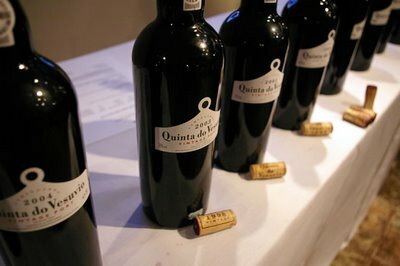 But an additional treat was a wonderful, uninterrupted vertical of Quinta do Vesuvio Ports from 1989 to 2006. Ideally, I wouldn't want to have tasted through this before the Majestic tasting that was to follow, but you can't ignore such a great opportunity. Vesuvio rocks. Especially 1990, 2000, 2001 and 2003 (my favourite). So, longer than I'd intended at Berry Bros somewhat compressed my Majestic experience. But I still tasted most of the Majestic offering, with some disappointments (more than I'd have expected from Majestic) along with a few very tasty wines (Cave de St Desirat Lirac 2007 a good buy at £5.99 offer price, a nice 2000 Navarra on offer at £5.99, a chunky, structured Aglianico del Vulture at £9.99, a fresh Vina Mayu Syrah from Elqui, and some nice sweet wines). Now I've got taster's mouth. Only time will heal that. 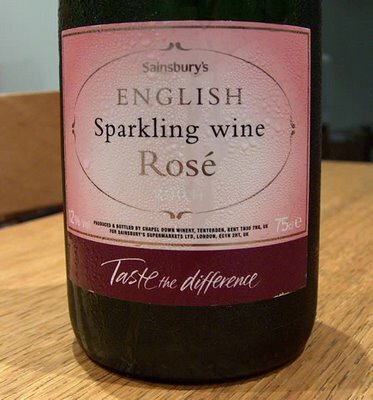 Drinking a nice Champagne tonight that has a distinctive note of cabbage to it. It's the Asda Extra Special Vintage 2000 Brut, made by Chanoine Freres (£17.97). It's pretty serious stuff (won a Decanter gold and an IWC silver), and has a complex, toasty, cabbagey nose with savoury, yeasty complexity. The palate is concentrated, savoury and dense with nice grippy, toasty, herby flavours. Nice balance, too. So where do the cabbagey notes come from? (They are actually much nicer than they sound, in the context of this wine.) I guess it must be a hint of reduction - something I often find in Cava, incidentally. Ordinarily, you'd want to manage your ferments so the yeasts don't produce too many of these sulfur compounds (which contribute aromas ranging from rotten eggs, through cabbage, through matchstick, to flintiness). 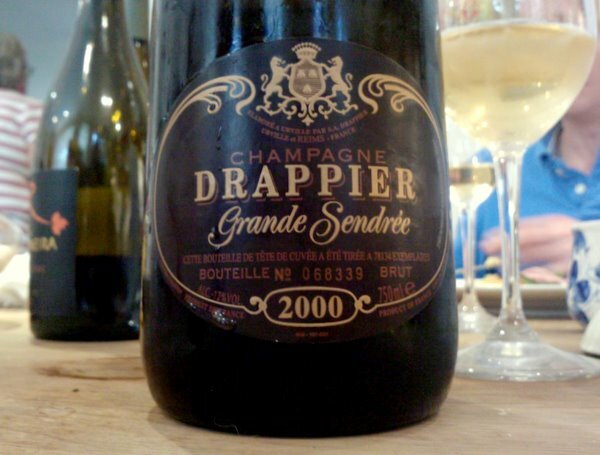 But here, in this Champagne, they add a nice savoury richness. This is a nice fizz. Well done Asda. Today has been quite a difficult one. I drove older son down to his new school (160 miles away), which he starts tomorrow. He's beginning as a boarder, at age 12, which must be incredibly difficult for him. Also, any parent reading can probably share a sense of how difficult it is to leave your child in someone else's care like this. But it's not a decision we came to lightly, and it's one that he participated in. He's an incredibly talented, able chap with a very bright future ahead of him, but had things carried on the way they were at home, then the future would have been much less bright. It seems a bit absurd and flippant to document this major change in a paragraph on a blog post, but I feel it needs to be mentioned, and it's either a paragraph or a whole book. Back to the safe territory of wine, and more specifically a rather good sparkling rose from England that's the equal of a good rose Champagne. Spent the morning tasting rose Champagnes blind. 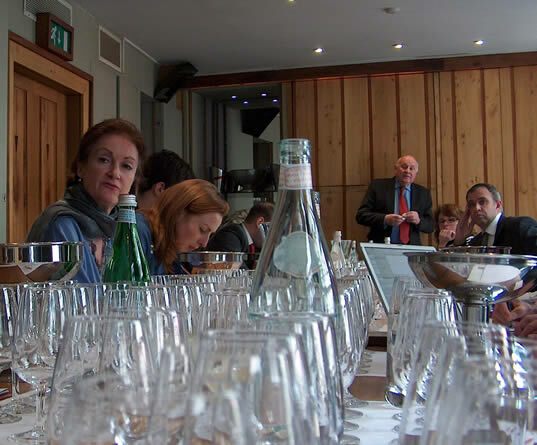 57 of them were lined up for a Wine & Spirit tasting held at the WSET, and it proved a rather demanding session. The problem with these sorts of blind tastings is that it's really hard to keep your concentration at the right level for the duration, and also that your palate can become quite fatigued. But, providing you can stay in the zone (as David Williams clearly is above) and give your mouth the odd break, tasting lots of the same sort of wine like this in a blind format is quite illuminating. You get to spot subtle differences between the wines that you might miss if you just had one or two bottles in front of you. You get a broad-brush perspective of the category. And not having sight of the label can prevent those subtle biases that we're all prone to. There are weaknesses with this format, too, but those are its strengths. The 57 wines were a mixed bag. Perhaps half a dozen were unpleasant, and another half a dozen were exceptional, but then there was a big cluster of very good but not world-beating wines in the middle. Interesting to see the range of colours, too - again, some were quite dark pink, most were salmon pink, and then there were a few that had hardly any colour at all. I'll get the names of the wines together with my notes in a few days, so I can write them up here. Got a sizeable cheque today. I felt a bit sad banking it, though, because it was my redundancy payment from what has become known in the Goode household as the 'day job'. As many readers will probably already know, for the last 15 years I've been working as a science editor, and as my interest in wine has grown, a parallel career has developed - wine writing. It was getting to the stage that I couldn't keep both going, and because wine is my passion, the science editing had to give. The fact that the organization I've been working for is closing down and my post is now redundant has helped me in my decision-making process (!! ), and so from the end of this month I'll be able to give wine the time it deserves - expect to see this site improve in terms of content. I'm a bit sad to say goodbye to science, though, and I hope there's a way I can still have some involvement with the scientific community. So, having banked the cheque, it was time for a modest celebration. Fiona surprised me with a blind fizz. I thought it was something pretty serious and fresh, but didn't get much further than that. It's not cheap, but it's really impressive. Two real hits last night, my last in the UK for a while - I'm making this entry from the business class lounge of Iberia en route to Santiago. It's quite nice being able to use an airline lounge because I normally fly economy. Anyway, these wines were just great - a fantastic full flavoured Champagne and a delicious Austrian sweetie. Continuing with our Christmas series of social engagements, today we had a really enjoyable family lunch with my parents and three siblings, plus my aunt, uncle and their kids, plus all the various sprogs. Quite a crowd in all, and it was good to see everyone. Cheerful mild chaos. Brother-in-law Beavington was in good form and pulled out some magnums of Champagne - Drappier NV and Ruinart Blanc de Blancs. There's something special about drinking from magnum. As well as it being the best format for ageing wine, it just feels kind of generous and life-loving and a bit extravagant to be pouring a 1.5 litre bottle. 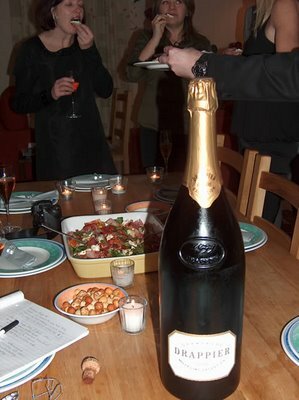 The Ruinart Blanc de Blancs magnum, with its clear glass, looked particularly gorgeous (pictured above, on the table). The wine was really good, too. At home this evening, I'm using the decanter again. The wine is Graillot's 1998 Crozes Hermitage. To be honest, I prefer Graillots Crozes to many Hermitages. They offer the essence of Northern Rhone Syrah, complete with edges and definition and personality. They can be quite challenging wines, though - the 1998 is an example of this. The last of nine bottles I purchased some time ago, this is still alive but was nicer a couple of years ago. There's high acidity, a bit of austerity on the palate, some green olive meaty notes and a bit of violetty perfume. The overall impression is a very savoury one, and I reckon this is definitely best with food, where it would excel with fatty meat, game, rich meaty stews or something a bit off-piste, like moussaka. A bottle that has been stored in pristine conditions might show a little better than this one, but I'd drink up soon if you have any. The most recent vintages of this wine that I've tried, the 2003, 2004 and 2005 have all been excellent. Today has been one of those rare days where everything simply goes much better than expected. 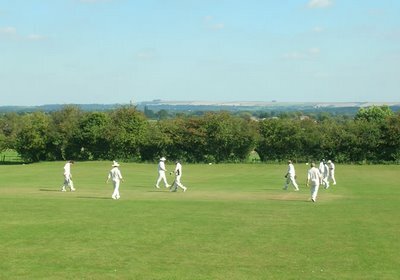 I was playing cricket for the wine trade XI against the Further Friars, down at Keevil Manor in Wiltshire. I didn't have access to our car today, so for the modest outlay of £30 I thought it was worth hiring one. Luckily, I got upgraded from the smallest, poxiest vehicle they had (which is what U'd paid for) to a brand new sporty Mondeo - OK, not a Mercedes coupe, but better than a Ford Ka. Then, driving down to the game along the A303, the sun broke out. After the summer we have had, here, a perfect summer's day in September is not to be sniffed at. We bowled first. Our opening bowlers were brisk, and the pitch was bouncy. The opposition batsmen made slow progress. Jasper Morris was run out, just after he had hit a six with a prettly flat aerial shot over mid off. I got a bowl just before lunch, as second change. I did a bit of work on the shiny side of the ball and ran up. The ball swang nicely, into the right handed batsman. 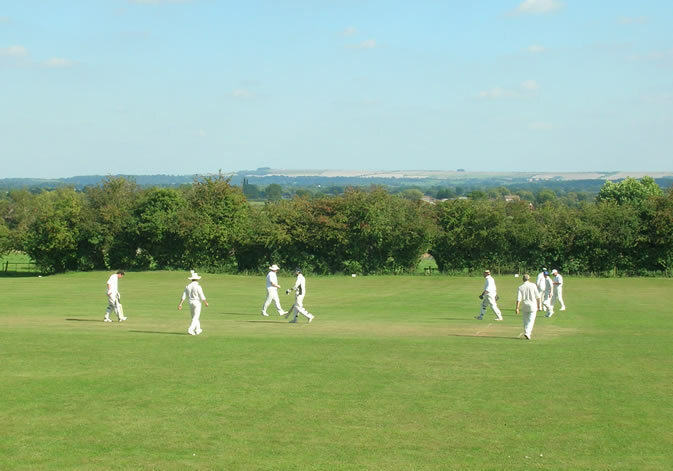 The second ball lifted a little outside off, and the batsman kindly edged it behind. Two balls later, the new batsman gave a simple lofted catch to midwicket. My figures at this stage were 1-1-0-2. I carried on and the swing was incredible. As an example, I bowled one ball that started well outside off stump, beat the batsman on yorker length, and then ended up missing leg. After six overs I finished with figures of 4 for 19. They were all out for 75. At no. 7 I wasn't expecting a bat, but I came in when there were 10 runs still to be scored. I decided to have a bit of a go, but didn't really connect very well, being dropped three times (yes!) on my way to 4 not out. But I did hit the winning run. After play concluded, In recognition of the fact that it was his 2oth wedding anniversary, Jasper opened a rather nice magnum of Andre Jacquart Cuvee Speciale NV Champagne Grand Cru which we drunk out of plastic picnic cups. It still tasted pretty good. 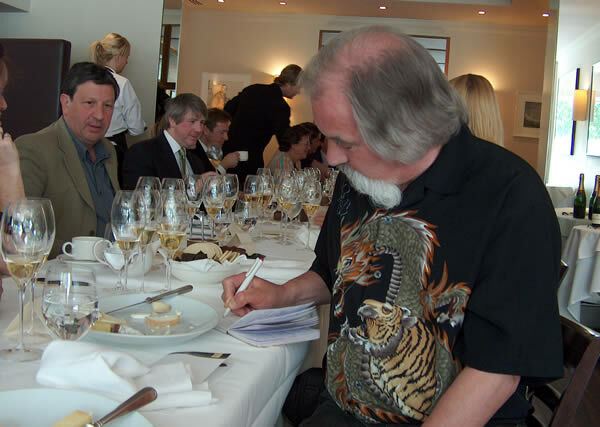 Other wines were opened, including a fantastic Tokaji, brought along by Christopher Fielden: Istvan Szepsy's 2003 Tokaji Szamorodni 'Daniel'. The bottle was hastily snapped (below), with Jasper's legs forming the backdrop. Even though it was drunk from plastic, this was one of the very best sweet wines I've had in a long while. It was complex, pure, sweet, balanced, with lovely weight and poise. You know when you are tasting a really serious wine, and this was one of them. It's hard to convey the perception of such a wine in words. A bit of a treat today. Bollinger lunch at Bruce Poole's fantastic restaurant Chez Bruce. There was a good turnout, as you might expect - someone commented that if a bomb had been placed in the restaurant, it would have taken out a sizeable portion of the UK wine press. The food was extraordinarily good, and the fizz didn't disappoint. We kicked off with Bollinger's '2003' - a unique wine reflecting the rather unique weather conditions of that growing season. Atypical for Bollinger: light, fruity and quite expressive. A bit like a top notch new world fizz. Ghislain de Montgolfier then gave a short speech, in which he mentioned how 2007 is shaping up. Apparently, we're looking at the earliest harvest in recent memory, because of the exceptionally hot April that led to early flowering. As long as nothing disastrous happens before late August, it should be a good one, too. Bolling Cuvee Special followed, and this was really singing: back to the distinctive house style, that's quite intense, toasty, rich and yet fresh and balanced. The Grande Annee 1997 is a wine I've had a couple of times before and really liked. It's fresh, intense, concentrated and a little bit edgy, with good complexity. Then a rare chance to try the Vieilles Vignes Francaises 1999, of which we drank a good half of the UK's annual allocation between us (it's 12-18 bottles a year). This is quite different: rounded, complex, broad, thought-provoking. Finally, the 1995 RD is a bit of a stern beast. It's just so full-on, with massive acidity, massive flavour, massive savouriness. It will probably last a very long time - drunk now, it needs food. Pictured: Stephen Brook (left) is entranced by Jim Budd's (foreground) shirt. Neil Beckett is also in the picture. Two tastings this afternoon. First, Berry Bros & Rudd's press tasting in the Pickering Cellar of their historic 3 St James Street premises (pictured). Spent some time chatting to the likes of Tim Atkin (who is compering Monday night's Glenfiddich Awards: he finds out tomorrow who wins), Anthony Rose, Sarah Ahmed and the Berrys crew. My favourite wine was a Champagne: the 2000 Le Mesnil Grand Cru Blanc de Blancs (here), which is currently showing amazing racy finesse and balance. Then it was off to Delfina near London Bridge for the Sainsbury's press tasting. I spent quite a bit of time tasting through the range, which was consistently good but without many stand-outs. 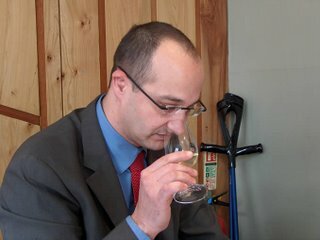 I really liked another Champagne: Duval Leroy Organic Premier Cru 2001, a straight Chardonnay from Trepail, with amazingly vivid, complex herby flavours. Wonder what the dosage was? I reckon it was low. Continuing my semi-obsession with bubbles at the moment, I opened two fizzes side-by-side this evening. It felt a little decadent, because like it or not it is hard to get away from the image of bubbly wine and celebration, celebrity and conspicuous consumption. Two very different bottles, though, and this wasn't intended to be a straight shootout. 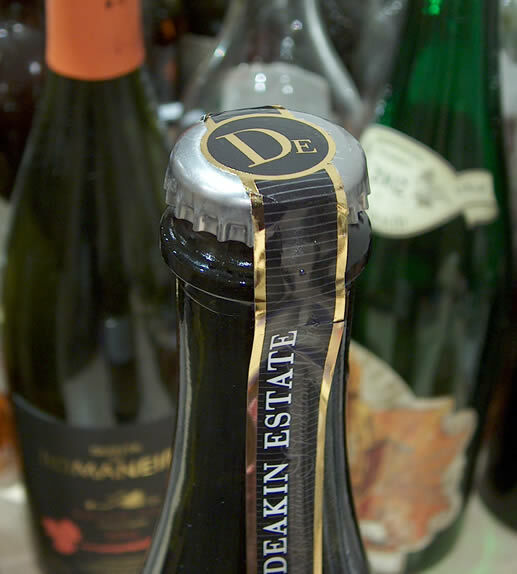 Aside: crown caps are great for sparkling wines, but they aren't hermetic seals. The seal between the rim of the bottle and the cap is what determines the oxygen transmission properties, and this case it is some sort of plastic material, which allows oxygen diffusion. So for this sort of fizz it's fine; I'd be cautious about cellaring crown capped bottles for any length of time, though. 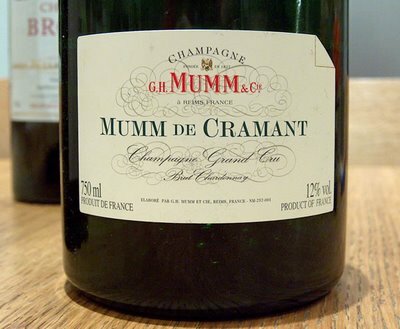 In the Mumm picture the corner is turned down: apparently, in days gone by the wine was delivered unlabelled, and the turned-down corner of the business card indicated personal delivery. Although made since 1882, this cuvee wasn't released commercially until 1960. It's a day well spent when you learn something new. I tasted Vins Clairs for the first time today, some 14 of them. Vins Clairs are the base wines that result from the first fermentation of Champagne grapes, and the ones we were tasting were a selection of 2006s from Champagne Mumm, presented by cellar master Didier Mariotti. 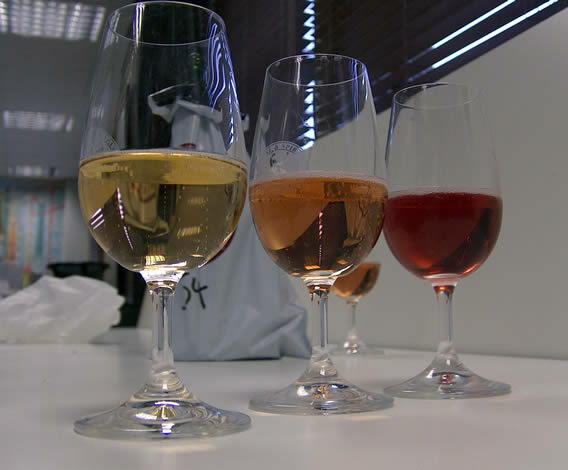 The base wines are picked at about 9-10% alcohol, with high acid, and are chaptalized up to about 11%. Much later in their life they'll undergo a secondary fermentation in the bottle - about 18 grams of sugar per litre will raise them up a degree of alcohol to 12%, and then they will have a final dose of sugar, usually about 9 grams/litre, to balance them out after the plug of dead yeast cells is removed. Tasting base wines isn't supposed to be fun. These are not wines you'd enjoy drinking with your dinner. They all have their different characteristics, and are like colours on an artist's palate, which the cellar master can then blend to good effect. A good base wine will typically have high acidity, good flavour and nice midpalate structure, but they vary, depending on where they come from in the region and the variety used. Didier says that tasting the vins clairs is the most important part of his job. Champagne is fascinating, and I'm enjoying learning about it. 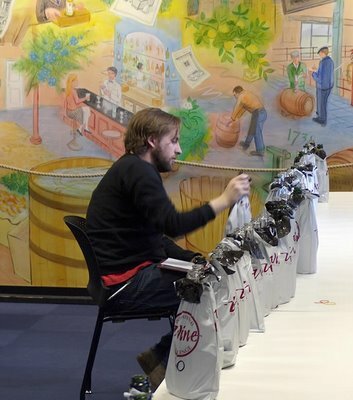 As an aside, kudos to Didier for fulfilling his commitment to this tasting despite nursing a freshly broken ankle (from handball - his crutches are visible beside him in the picture). Today was a busy day of tasting. 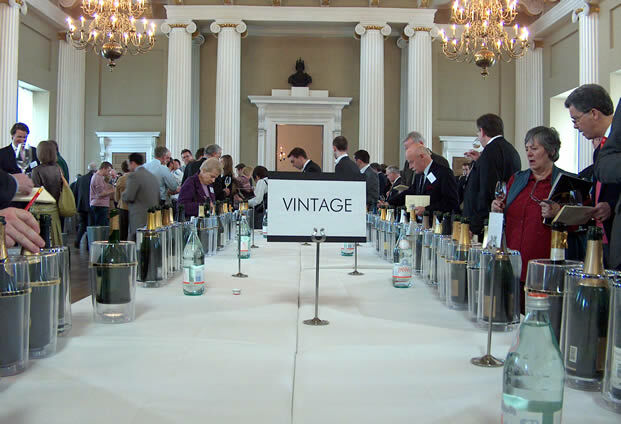 Two unmissable events, for me at least: the annual tastings for Champagne and Portugal. The day began with a prompt 10 am start at Banqueting house for the Champagne gig, which was preceded by a pleasant wander over the Thames from Waterloo station. It was a lovely early spring morning, but a hint of freshness in the air and diffused, milky sunshine. I tasted a lot of very good Champagnes, more than a few excellent ones and just a handful that I’d rate as just ordinary. Highlights rather predictably included the 1995 Krug, a monumental wine that won’t be approaching drinkability for another five years at least, and also a couple from Jacquesson: the 1996 vintage and the non-dosage Dizy 2000. Tarlant impressed, as did Larmandier-Bernier. Then it was off to Lords, a beautiful venue for a tasting on a bright Spring day. Main focus here was the selection of 2005 cask samples from the Douro (very promising vintage; possibly a little better than 2004). The big surprise was the presence of Alvaro Castro (of Quintas da Pellada and de Saes in the Dão) – he doesn’t usually come to the annual tasting. He had a wonderful roster of wines with him, including the marvellous Caroussel, Dado and Pape wines, as well as wines from his two Quintas. I was really impressed by these. Sad aside: Alvaro remembered that I'd put a picture of his dog on my website, roaming his vineyard. The dog is no longer, having been poisoned by hunters, he reveals. Now I’m on the way home, with a stained, wine-residue mouth and reams of notes to type up. Tomorrow should be a little less strenuous: just the Majestic press tasting in the morning and then a tutored tasting of Vin Clairs in the afternoon. It's been a gorgeous day, here in our small part of the world. I took the day off and spent it with Fiona and RTL. After dropping the kids off at school we headed for Box Hill for a nice long walk. It was a special day: bright, clear blue skies, laser-sharp hues and a gently-warm sun. Lunch was consumed sitting outside at a pub in Chilworth, accompanied by a pint of Greene King IPA, followed by a short walk along the River Wey. These are the sorts of days that form enduring positive memories which you can feed on later. Tonight I'm on the fizz again. 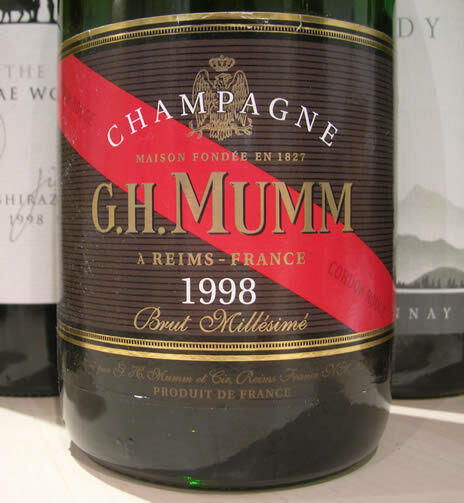 Champagne Mumm Cordon Rouge 1998 is a more than respectable effort. 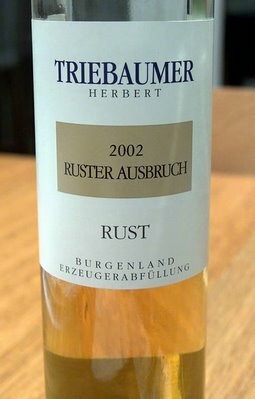 It's bright, lemony and very fruity on the nose, but the palate is a good deal richer with notes of toast and vanilla, coupled with good acidity. It's quite fresh as well as being very full flavoured. I suspect there's a fair bit of both Pinots in here. 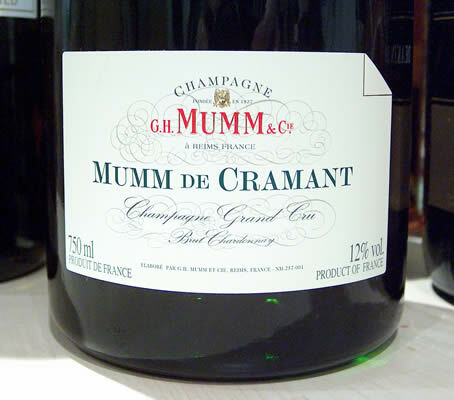 It's fairly serious (I scored this as 91), and with its full flavour and body I reckon it's a good food Champagne. Fizz is expensive, though, compared with other wines. Majestic stock this on a 3 for 2 offer, which brings the price down to a very competitive £23, as opposed to the list price of £35. Today was Tesco press tasting day. 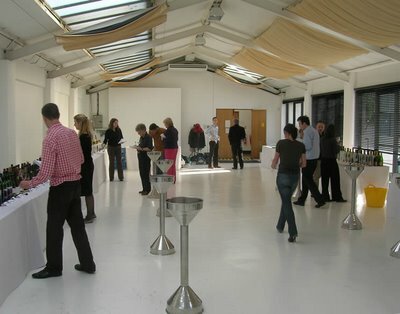 It was held at the Worx in Parson's Green - a venue that's a bit out of the way but which is absolutely ideal for wine tasting. It's a bright, white, airy space, with plenty of room. Some nice wines on show: I particularly enjoyed the Bollinger Grand Annee 1999, which I drunk several glasses of after last week's Bordeaux event, and the Taittinger Prelude NV. But it wasn't the expensive stuff that was the sole focus: for my purposes, it's great to find really good affordable wines with a wide distribution, and Tesco have quite a few of these. As the most important (in terms of volume) wine retailer in the UK, it's good to see they are putting some effort and thought into their range. Last night I dined at Roast in Borough Market with Jo and Andre of Wines of South Africa. We did the obligatory Pinotage discussion, and I got into trouble by gently teasing them about the 'variety is in our nature' slogan, but otherwise it was a very productive evening. I'm a big fan of WOSA, who do a great job promoting South African wine. 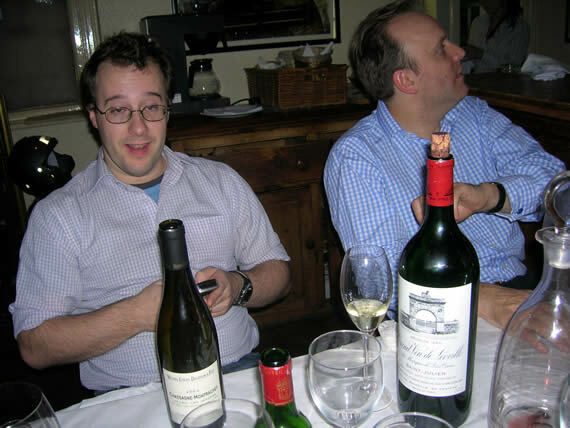 We drank a Raats Chenin Blanc and the 2003 Solitude Shiraz from Fairview (or was it the Beacon?). Both were excellent. Roast slightly disappointed. The food was OK, but not quite as good as I'd hoped. And the cheese selection was rather limited: just four were being offered. But the location, decor and service were spot on. I drink quite bit of fizz, most of it unremarkable but enjoyable. Every now and then, though, I come across one that’s quite special, and reminds me of what the fuss is about. On Friday night we cracked a good-un. Christmas greetings, dear readers. After a few days' abstinence, I felt up to some wine today. Just a little, and nothing terribly excessive. We began with the two wines I bought on Thursday for research purposes. Domain Chandon ZD 2002 is a delightful Aussie fizz with good complexity and a very dry finish. Cloudy Bay Sauvignon Blanc 2006 is a very good New Zealand Sauvignon Blanc, but you are certainly paying a premium for the label: I could easily find seven or eight NZ Sauvignons that are its equal, and which are much cheaper. Finally, a Bandol: Lafran Veyrolles Longue Garde, which is now entering is earthy, evolved phase. Nice in a very savoury style. The Goode family Christmas day has been a very successful one. This has not always been the case, I should add! Just the four of us, plus various animals. Lots of present unwrapping, a nice lunch, a walk, some telly, some family games, and for everyone else an early night. I have to stay up to see to the hound, but I'm hoping to find my bed soon. Merry Christmas. Just come back from Waitrose, where I did a pre-Christmas treat shop. On the cheese front I bought Keen's Cheddar, Colston Bassett Stilton and Comte. But I also bought two bottles of wine. I try very hard not to buy wine, because my kitchen is full of it, and I have to work hard to keep on top of the samples. I can't always stop myself, though - and it's also healthy to remember what it feels like to shell out your own cash on the stuff. It's easy to overlook the fact that a £20 Chianti Classico or red Burgundy is just plain dull when you didn't pay for it. When it's your own £20, you quite rightly have higher expectations, and you are more likely to be appropriately critical. What did I buy? First, a bottle of the crowncap-sealed Domaine Chandon ZD 2002, which I recently wrote up (this was £13.99). I liked it in the Yarra; will I like it in my kitchen in London? Always helpful to calibrate my tasting notes with my drinking notes. Second, from the same LMVH empire, a bottle of Cloudy Bay Sauvignon Blanc 2006 (£15.99). An odd choice? Well, my brother in law, Beavington, raves about this stuff. I've not tried it for a couple of vintages - I'd come to the conclusion that it's no better or worse than a dozen other leading Marlborough Sauvignon Blancs. But Beavington is insistent that it is magical. I'm slightly worried that he's a bit of a label drinker, but I'm giving him the benefit of the doubt by buying this wine to see whether it over-delivers in the way he says it does. We have a new member of the Goode household. After a lot of umming and arring, and after exhaustive research, we decided to get a dog. What do you get when you cross a labrador with a poodle? A labradoodle, of course. Now don't laugh: this is the proper name for the breed. Fortunately, ours looks more like a labrador than a poodle. She's 12 weeks old, and we've called her Rosie. 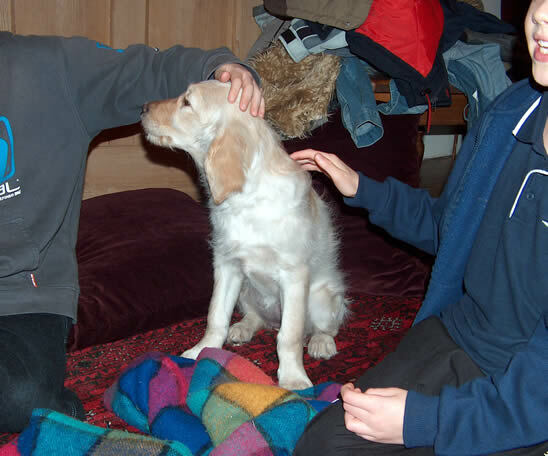 She's pictured just after her arrival: the boys were thrilled. There are pros and cons to dog ownership. The pros? You get unconditional love and affection, and unswerving loyalty. You also have an excuse to go for lots of walks (which for some might be a negative, but I love going for walks). The family is enriched. The cons? Going on holiday becomes more complicated (although lots of friends have expressed an interest in borrowing a dog). The smell. And picking up turds (which all socially aware dog owners should do). To celebrate Rosie's arrival we had a bottle of Roederer Brut NV, which is a very lovely full flavoured fizz with good acid and nice toasty richness. It's one of those fizzes that you really could serve throughout a meal; I also think it would develop with a year or two in bottle. 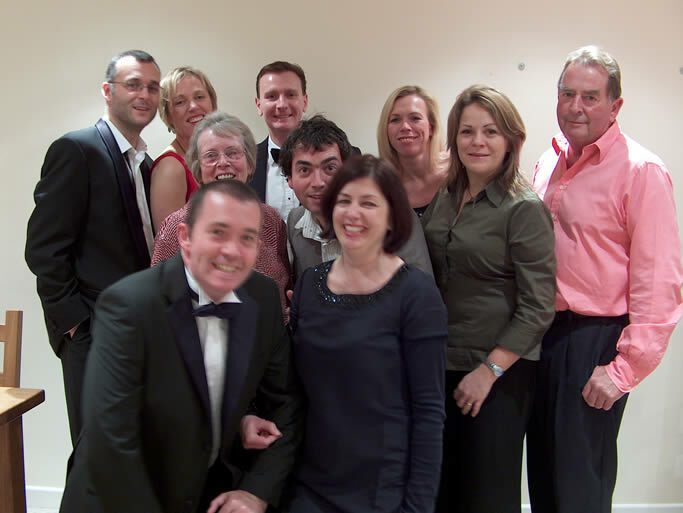 Friday night I was out for a wine dinner at L'Auberge in Teddington. It was c0nvened by Alex Murray, who until recently worked for Berry Bros & Rudd, along with two of his ex-colleagues from Berrys, Chris Maybin and Charlie Bennett. We drank and ate well: Bollinger Grande Annee 1997, Pol Roger Winston Churchill 1996, Colin Deleger Chassagne Montrachet Les Vergers 2003, Langoa Barton 1996, Armand Rousseau Chambertin Clos Des Ruchottes Grand Cru and Mission Hill Reserve Riesling Eiswein 2003 were all polished off with relish. But the highlight for me was the magnum of Leoville Las Cases 1985 that Alex brought along. Decanted a couple of hours earlier, this was a magical wine, drinking perfectly. 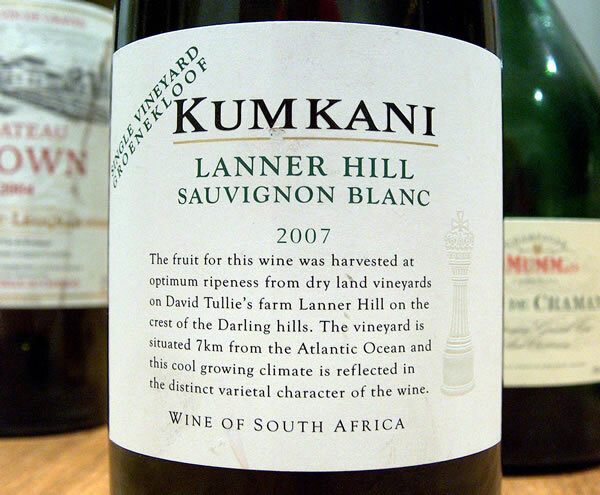 Perfumed, open and inviting, this combined sweetness of fruit with lovely earthy minerality. Quite dry and savoury, but very youthful tasting for a 21 year old wine. 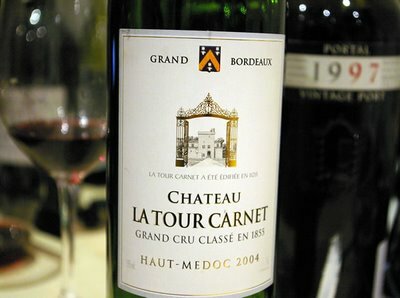 This is why Bordeaux is so sought after, and why people like to drink it at 20 or 30 years old. Also, magnums just seem to age so well: perhaps they offer the perfect level of oxygen transmission/volume of wine that allows the wine to reach just the right ageing destination. This was also an impeccably cellared bottle, which is so important with older wines. It was so nice to have a whole magnum between the four of us of such a lovely wine. Got home by bus at about 1.30 am; fell asleep listening to the cricket. 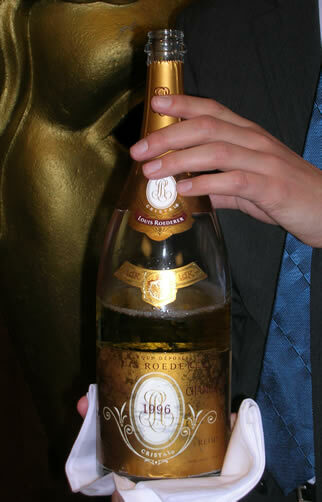 Roederer Cristal. I drank two vintages today at BAFTA in London's Piccadilly (you can see the BAFTA 'mask' in the background of the picture) - the 1990 and 1996, from magnum. Both were utterly fantastic: fresh, complex and almost perfect, with the 1990 just having the edge on the 1996 at the moment. In time the 1996 may prove the better, but it's a hard call. Cristal is famous as being the favoured tipple of hip-hop stars and gangsta rappers (see here and here, for example). It would be nice to say that it's overhyped, but it's not. This stuff is thrilling. Almost unbelievably good. I also tried the Roederer 1999 releases, my favourite being the Blanc de Blancs, which again is spectacularly fresh and vivid with lots of complexity. 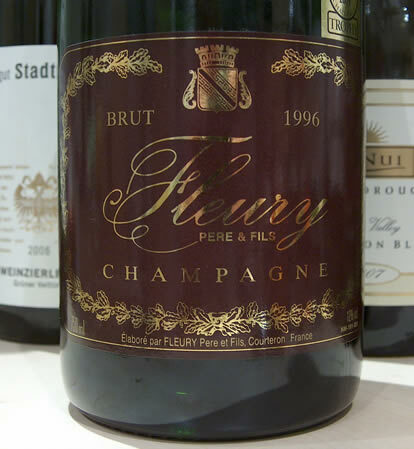 The regular vintage 1999 is also very impressive, with some more richness underneath the fresh fruit. Roederer rocks.